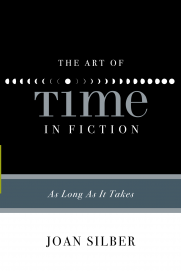 It’s rare that I read a nonfiction book with as much enthusiasm as Joan Silber’s The Art of Time in Fiction. Given the topic it’s not surprising though. I’ve long suspected that one of the key elements dividing literary fiction and genre fiction might be the use of time. I’m thinking of the artless use of the split-narrative that we find in almost every crime novel these days. Or the time-split in historical genre novels. Silber’s title is well-chosen, because using time masterfully is really an art. She divided her book into different chapters, each dedicated to another use of time, another technique. I noticed, when compiling the list that when it’s done really well, we hardly notice what approach an author chose. I really appreciated the many examples she gave and from which she quotes extensively. Of course, this makes it a dangerous book for book addicts because it makes you want to add to your piles. I will go through the categories, describing them briefly and adding the examples Joan Silber chose. The first category was “classic time”. In this approach the author describes the story chronologically, chosing only a brief time span. There isn’t a lot of back story, nor flashbacks. I’d say it is the category that shows the most, tells the least. When an author tells a character’s whole life and the story spans over many years and decades, then we have an example of long time. I think it’s the category I’m the least fond of, but stories like Flaubert’s A Simple Heart, that capture a whole life, condensing long stretches, and only needs some forty pages, are not to be dismissed. The use of flashbacks, dreamlike sequences, non-linear storytelling, might be what appeals to me the most. Proust’s In Search of Lost Time might be the most prominent of this category. In a movie there would be the use of slow motion. It’s an arresting technique that captures sensory and sensuous details like no other. 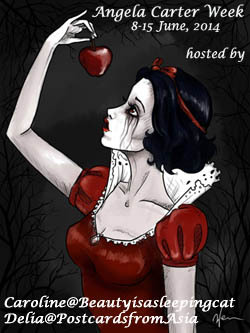 This is the realm of magical realism and folk and fairy tales. It’s characterized by uncertainty and a reversal of natural time and disregarding the laws of time. One of the most interesting uses of time in fiction is when it’s made the subject of the story. I’ve never read Fitzgerald’s Winter Dreams, which seems to be similar to The Great Gatsby, but uses time differently. Since I’m planning on re-reading The Great Gatsby, I’m looking forward to comparing it to Winter Dreams. I can’t say there’s one of these approaches I don’t like, but I guess books in which the time is a subject and what Silber calls “switchback time” might be those I like the most. 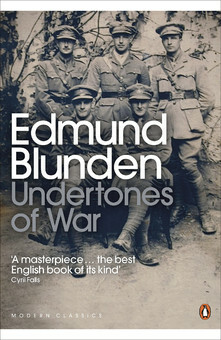 This is a wonderful little book that will appeal to readers and writers alike. It’s part of “The Art Of” series books published by Graywolf Press. What about you? Do you prefer any of these categories? Or do you enjoy the use of split timelines/narratives more? 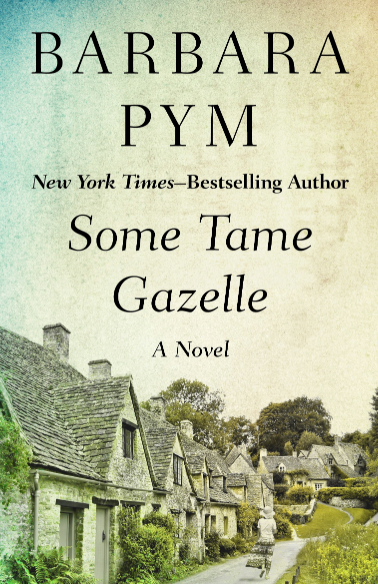 In these essays Vivian Gornick examines a century of novels in which authors have portrayed women who challenge the desire to be swept away by passion. She concludes that love as a metaphor for the making of literature is no longer apt for today’s writers, such has the nature of love and romance and marriage changed. Taking the works of authors such as Willa Cather, Jean Rhys, Christina Stead, Grace Paley and Hannah Arendt, Gornick sets out to show how novels have increasingly questioned the inevitability of love and marriage as the path to self-knowledge and fulfilment. Vivian Gornick is an essayist and memoirist. 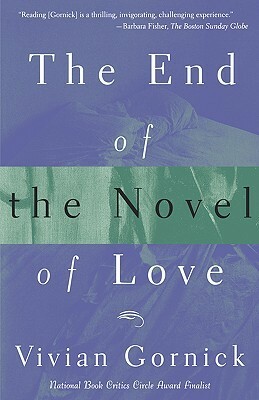 Her collection The End of the Novel of Love contains a wide range of essays on different authors and topics. The title is the title of one of the essays. Almost all the essays circle to some extent around the topic of love. Some of the essays are more biographical, others focus more on a theme and compare and analyse different authors and works. There are biographical essays on Kate Chopin, Jean Rhys, Willa Cather, Christina Stead and Grace Paley. I liked the one on Willa Cather and Grace Paley best, as Gornick is less judgmental in them than in some of the others. In the essay on Paley she says that despite the fact that her range isn’t all that wide, that Paley often writes about the same things again and again, her stories are still excellent because in her stories the voice is the story. What is unique in her stories is that people don’t fall in love with each other but with the desire to be alive. There have been three story collections in thirty-five years. They have made Paley famous. All over the world, in languages you never heard of, she is read as a master storyteller in the great tradition: people love life more because of her writing. The book contains two essays on people who are not fiction writers: Hannah Arendt and Clover Adams. While I’m familiar with Arendt and her work, I didn’t know the tragic story of Clover Adams, the wife of Henry Adams, who took her own life in 1885. The suicide struck Henry Adams particularly hard as he thought of Clover and himself as two parts of a whole, while, very clearly, Clover had an inner life of her own and didn’t share most of her distress. Clover was, according to Gornick, extremely intelligent and witty, which fascinated Adams. He fell in love with her mind right away, but didn’t show much kindness when he wrote about her as being anything but handsome. And even his praise of her intelligence doesn’t really read as a praise because he feels obliged to add – implicitly and explicitly – that she’s witty and intelligent “for a woman”. The most interesting essays in the collection are those on themes, in which Gornick analyses and compares several works. In Diana of the Crossways Gornick compares George Eliot’s Daniel Deronda, Edith Wharton’s The House of Mirth, George Meredith’s Diana of the Crossways and Virginia Woolf’s Mrs Dalloway. Gornick tells us that while the three books written by women are brilliant, they aren’t a success, unlike Diana of the Crossways, which is a stunning novel, because it goes one step further. Diana Warwick is one of the first women in an English novel both beautiful and intellectually gifted who needn’t be dismissed as vain, shrewd, and ambitious before we can get on with it. Ruthless Intimacies analyses the relationship between mother and son in D.H.Lawrence’s Sons and Lovers, and the relationship between mothers and daughters in Radclyffe Hall’s The Unlit Lamp, May Sinclair’s Mary Oliver, Virginia Woolf’s To the Lighthouse and Edna O’Brien’s short story A Rose in the Heart of New York. The relationships in these novels are symbiotic and swallow up the daughters completely. They struggle their whole lives to free themselves. I can relate to that all too well and would really love to read The Unlit Lamp and Edna O’Brien’s short story. Both sound pertinent and excellent. Tenderhearted Men focusses on author’s who write in the vein of Hemingway about men and women. Raymond Carver, Richard Ford and André Dubus. Gornick dismisses them as too sentimental. They cling to a dated idea of men being saved by women, without trying to understand them. The End of the Novel of Love is interesting. It states the obvious but the obvious was still worth stating. Most of the tragic (love) stories of the past like Madame Bovary and Anna Karenina, but also books like The House of Mirth are unthinkable in our day and age. Marriage and society have changed so much. Adultery doesn’t have the social consequences it had. I thought this part of the essay interesting, but I didn’t like that she chose to illustrate her concept in picking apart Jane Smiley’s novella The Age of Grief and calling it not only unmoving, but a failure. Harsh words. Maybe it’s true. I haven’t read it but I don’t like this type of unkind criticism. Gornick’s writing is very accessible, a lot of her insights are fascinating and made me think, but, as I mentioned before, she’s very judgmental, which made me cringe occasionally. It made Gornick come across as very unkind. See for example this passage taken from the essay on Kate Chopin. One of her biographers makes the point that Chopin never revised, Chopin herself, announced, in interview after interview throughout her professional life, that the writing either came all at once, or not at all. I think it the single most important piece of writing we have about her. She seems to have considered this startling practice a proof of giftedness, rather than of the amateurishness that it really was. Although I didn’t care for some of her harsh judgments, I thought many of her observations were pertinent and fascinating and I’d certainly read another of her books. I’m interested in her memoir Fierce Attachments and her book on creative non-fiction The Situation and the Story: the Art of Personal Narrative. If you’re interested here’s the first chapter on Diana of the Crossways. I’ve always been interested in essential oils and also used them quite frequently in the past, still I would never have thought I’d enjoy reading this wonderful book so much. Rebecca put knowledge, passion and enthusiasm into this book, and wrote it in an accessible and engaging way. It’s a real pleasure to read. 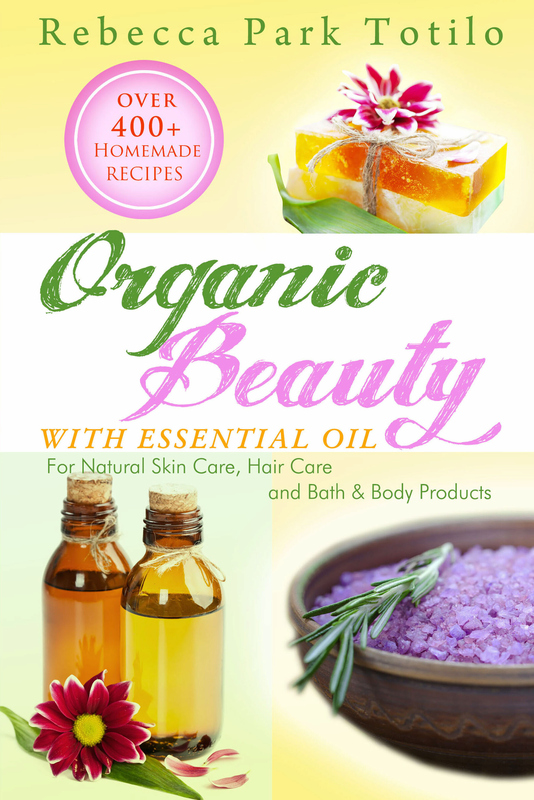 The book opens with a detailed introduction to making your own beauty products with essential oils. It gives tips and advice on which are the best carrier oils, what oils are best for the skin, which will help set a specific mood and so on. You will also find instructions on how to store your oils, how to dilute and blend them. Rebecca also enumerates all the different products that you can do with the help of this book. At the end of the introduction you find a detailed description of far over 70 essential oils, from Angelica to Ylang Ylang. Each section describes what the oil is for, how to use it and whether you have to be careful with it. After the description comes the “recipe section”, which contains the following chapters: Bath Oils, Bath Bombs, Bath Salts, Bubble Baths, Bath Soaps, Milk Baths, Body Scrubs, Body Powders, Body Sprays, Body Lotions, Facial Scrubs, Facial Masks, Facial Creams, Facial Toners, Shampoos and Shower Gels, Toothpaste, Lip Balms and Glosses, Cuticle Oils, Hand Creams, Products for the Feet. As you can see, the book is very rich. Add the essential oils, one drop at a time and mix well. Let it sit overnight. For the bath: Add 4 heaping tablespoons of bath salts to the running water for one full tub. In a bottle, add the almond oil and the essential oils. Tighten the cap and shake the bottle vigorously for one minute to blend. To use, massage the nail bed once a day to encourage healthy growth. I hope this gave you a good impression. I think Rebecca did a great job. It’s an inspiring and colorful book with tons of recipes, ideas and tips. It’s great for people who are fed up with toxic beauty products, for everyone who likes to experiment and try out new things, but also for those who are simply interested to learn more about essential oils. “Rebecca Park Totilo’s flair and passion for life bursts into living color when she writes and speaks, as you will see in the visual way she presents herself. She literally believes in the “show, don’t tell” principle in everything she does. Becca has ministered to literally millions of people via television, radio and live appearances. She is an award-winning published author of over 40 books, including “Therapeutic Blending With Essential Oil”, “Heal With Essential Oil”, and “Through the Night With God.” Her credits include working as a contributor writer on two best-selling series (“Quiet Moments with God” and “Stories for the Teen’s Heart”) which sold over one million and five million copies respectively. She is also a freelance writer for several national magazines include Christian Parenting Today, Discipleship Journal and Woman’s World. Rebecca graduated from Virginia Commonwealth University in 1986 with a Bachelor’s of Science Degree in Information Systems. In addition, she attended Faith Bible Institute in Richmond, Virginia for instruction in ministry and University of the Nations in Hawaii. She is also trained as a Clinical Aromatherapist and is an international educator offering online courses on the art of perfume-making and how to blend with essential oils worldwide on her website http://rebeccatotilo.com. Rebecca owns a cute soap boutique, Aroma Hut, near the beach in Florida where she practices as an Clinical Aromatherapist. Thanks to Virtual Author Book Tours for letting me participate in this tour. I enjoyed it a great deal. If you’d like to enter for a giveaway, don’t miss the other tour dates, which you will find here. Jeanette Winterson’s first novel Oranges Are Not the Only Fruit is largely inspired by her childhood. Her memoir Why Be Happy When You Could Be Normal? tells the other side of the story. That what was left out. 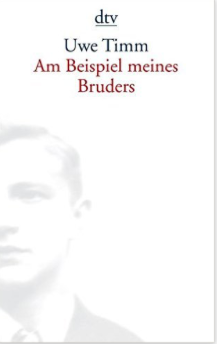 It took me a long time to read this memoir. I started it four times, not because it’s not good, but because reading it was painful. The first part, until Jeanette leaves home at 16 and her mother asks her the question that has become the title of the book, is painful and disturbing for many reasons. The wit and the humor she uses to describe her awful childhood made me shudder. Shudder because I didn’t get it. I didn’t understand how you could live through so much pain and not go crazy, to write a book at 21 and become famous and leave it all behind. I was glad she proved to be so resilient, but it made me uneasy. I kept on thinking: When is it going to happen? When will she break down? Is that still in the future? I don’t think that you can survive a childhood like Winterson’s and not break down eventually. It’s just a matter of time.The second part of the book deals with what came much later. Jeanette Winterson’s descent into madness (her terms), her breakdown and attempted suicide in 2008. Reading that felt like entering a freshly aired room. I know this may sound weird, but the beginning made me choke. I couldn’t believe that she’d left it all behind and only when I read about the descent into madness, did I finally feel glad for her. Now she can move on. Jeanette Winterson was adopted by the Wintersons when she was 6 months old. She was never told who her real parents were and her mother always said that the devil led them to the wrong crib, meaning she would have liked another child, a nicer child. This is such a typical statement from a woman like Mrs Winterson who is a depressed zealot and always utters half-truths in bible-inspired metaphor. Jeanette Winterson says that all of her books start with individual meaningful sentences and we see where that comes from. Her mother often only says one dark ominous sentence over and over again. Sometimes without any apparent connection to what just happens or what was just said. “Ask not for whom the bell tolls . . .”, “It’s a fault to heaven, a fault against the dead and a fault to nature . . . ” Uttered without any context or referring to very mundane things like the gas oven blowing up, these sentences are either creepy or hilarious. Winterson grew up in the North of England, near Manchester and she loves this part of the country, lovingly tells us about its history, which is quite interesting. The Wintersons are not only religious fanatics but working class and her mother is so suspicious of books that she confiscates and burns all of those Jeanette has been hiding. Punishment is frequent and comes in different forms. Either Jeanette is beaten or left outside all night and day, on the door step, even in winter. When she falls in love with a girl, and Mrs W finds out, they perform an exorcism. Jeannette finally leaves at 16. She only returns once, when she’s studying in Oxford and things go very wrong. That’s the last time she sees her mother. As you may have guessed, this isn’t an easy book to write about. I marked so many passages and sentences that hardly any page is left white. Jeanette Winterson has a way with words that is amazing. Although I don’t always agree, I find the sentences, many of which are used in her novels, arresting. In her novel Oranges Are Not the Only Fruit, Jeanette Winterson paints her mother like a giantess and in her memoir she says she was too large for her circumstances. I was puzzled that there was no explanation whatsoever why Mrs W was the way she was. Mean, fanatic, abusive, depressed and just plain crazy. She had her dreams and her wishes, but smothered them. She lived as if she was wearing a very tight corset. The Wintersons were Pentecostals and the religion was like a mental corset. 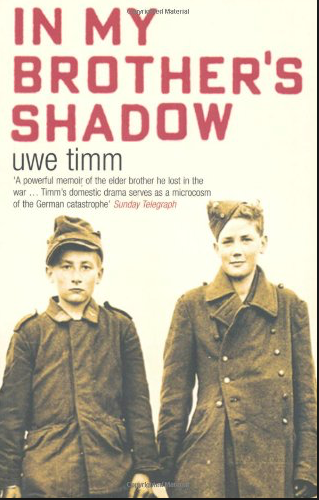 If you like memoir, then you should read this. It’s disturbing, but it’s so amazingly well written and the first part has hilarious moments. Mrs Winterson is crazy, but she really is larger than life. She reminded me of some of Picasso’s paintings of grotesquely deformed women. We read about her with horror, but at the same time we almost wishes we had been there. I even felt compassion, there were small details that could almost make her endearing. 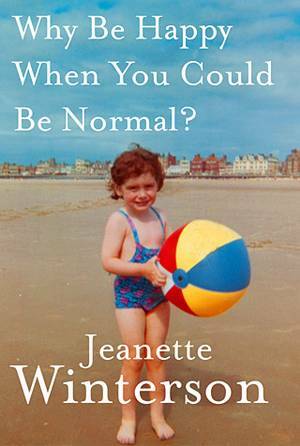 At the end of the book, when Jeanette Winterson has found her birth mother and looks back on her childhood, she says she’s glad Mrs Winterson was her mother. Although she was crazy and abusive, she made her who she is, maybe without such an adoptive mother, there wouldn’t be a writer like Jeanette Winterson. I can understand that thinking very well.